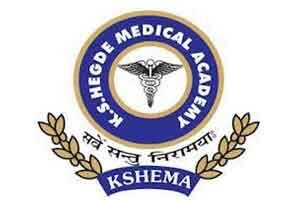 On the prestigious occasion of the National Science Day, the Centre for Science Education and Research and KS Hegde Medical Academy (Kshema) will honor two clinical scientists for their contribution to medical research. The two scientists to be applauded are Dr VI Mathan and Dr Minnie Mathan. Dr VI Mathan has been selected for his continuous dedication to the field of health research. He has been earlier conferred with many prestigious titles including the Ambedkar Award of the Indian Council of Medical Research for his lifetime contributions to health research. He has many more awards to his credit, He was recently recognised by the Members of the Indo-Australian Association to confer the Indo-Australian award for meritorious service. Prof Mathan has superannuated from Christian Medical College, Vellore, as professor of medicine and gastroenterology and director. He is a former director of the Christian Medical College, Vellore. Prof Minnie has also been conferred for her diligent contribution to health research. She was the head of the department of gastrointestinal sciences at the college till her superannuation in 1997, as confirmed by TOI. Prof Mathan is expected to share his views on the challenges of the challenges of clinical research and Prof Minnie on integrated research.